VET Student Loans is an income contingent loan program to assist eligible vocational education and training students to pay their tuition fees. This description along with more information on VSL can be found in the VSL Manual for Providers. Only registered training organisations that have been approved by the Secretary of the Department of Education and Training can offer VET Student Loans to eligible students. VET Student Loans are only available for approved diploma level courses or above. Loan caps are the total amount of loan an eligible student may access for a particular course. VET Student Loans is the name of the scheme that commenced 1st January 2017 to replace the old scheme known as VET FEE-HELP which ceased 31st December 2016. Students who wished to continue accessing their VET FEE-HELP loan would need to 'opt-in' to continue their old VET FEE-HELP loan provided they would no longer access this loan after 31st December 2017. Course of Study - This is directly related to the Qualification in VETtrak. Unit of Study - Each Course of Study is divided up into Units of Study. It is up to the provider to determine how to divide a Course of Study up into Units of Study. A unit of study may comprise a group of units of competency or one unit of study may equal one unit of competency. A provider can only set and charge students tuition fees for Units of Study, not whole Courses of Study. Students do not incur a liability for a Unit of Study until after the census date for that unit. The provider can set the census date no earlier than 20% of the way through the unit. Units of Study can have only one census date, so if the provider offers the same unit in different periods, they will each have to be entered as a separate Unit of Study. Providers must report data to the reporting body HEIMS for all students studying in approved VET course who are eligible to apply for VET Student Loan assistance. The data contains important information about the student’s census date and the dollar value of the debt the student will incur. Details of the reporting requirements can be found on the VET Data Collections – 2018 Reporting Requirements page of the HEIMSHELP web site. The VET Data Collections 2018 Reporting Schedule outlines the file submission types and the frequency in which each type must be supplied. This document can be found on the VET Data Collections – 2018 Reporting Requirements page. An article detailing these reporting requirements and how VETtrak can meet these requirements can be found here VET Student Loans Exporter. Providers are required to upload student information to the online Electronic Commonwealth Assistance Form (eCAF) system. The student is required to fill out an engagement form prior to receiving their loan as well as a progression form each February, June and October to indicate that they wish to continue with their VET Student Loan. Information on VETtrak’s integration with the eCAF Web Service can be found in the VET Student Loans eCAF Engagement and Progression Help Centre article. VSL data fields required for reporting to HEIMS are known as Data Elements. These elements are labelled with a unique number and these numbers can be seen in the field labels throughout various VSL wizards in VETtrak. For example, the Census Date found within the Client Unit of Study Wizard is element number 489 and can be seen in this wizard with () brackets surrounding this element number. Any field labelled with the element number will match an element number on the HEIMSHELP web site. A full list of elements can be found on the VET – Elements by Number page of the HEIMSHELP web site. 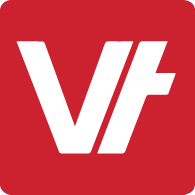 When entering VSL details VETtrak will try and inherit fields that are similar (but perhaps not identical) between AVETMISS and VSL. For example, the list of disabilities for VET Student Loans differs from that for AVETMISS however VETtrak will try to auto-populate the disabilities in the Client VSL Wizard where possible. The VET Student Loans feature in VETtrak allows the generation of files that must be reported to the HEIMS using the HEPCAT reporting tool. The list of files along with the file scope and structure can be found on the VET Data Collections – 2018 submission guidelines page with in the HEIMSHELP web site. VETtrak has an exporting tool to produce the following files. More information on the VSL Exporter can be found in the VET Student Loans Exporter Help Centre article. The provider must give the student a Statement of Covered Fees after the student enrols in the course and before the first census date for the course. More information on the Statement of Covered Fees can be found in the VSL Manual for Providers or in the VET Student Loans Rules 2016 under point 129. To meet this requirement VETtrak has a Standard Report under Report – Standard Reports – VET Student Loan/VET FEE-HELP Reports called VSL Statement of Covered Fees. It is possible to display your organisation’s logo in the top right corner of the Statement of Covered Fees by adding the logo to the left image in organisation wizard. If you have a template of your own that you would prefer to use you can request this to be made into a custom report using the Custom Report Requests form in the Support Centre of our Customer Centre. The Fee Notice provides notice to students of course information including the unit of study tuition fees to be incurred. It must be delivered to a student’s personal email or mailing address nominated by the student. It must be issued no earlier than 42 days before the commencement date and no less than 14 days before the earliest census date. More information on the Fee Notice can be found in the VSL Manual for Providers or in the VET Student Loans Rules 2016 under point 99. To meet this requirement VETtrak has a standard Fee Notice report. This can be run through a right click menu on the course of study or the individual unit of study. It is also possible to run this report in bulk using the Fee Notice report in Standard Reports or using a Data Insights query. It is possible to display your organisation’s logo in the top right corner of the Fee Notice by adding the logo to the left image in organisation wizard. The requirements for what needs to be shown on a Fee Notice can be seen in the VET Student Loans Rules 2016. The Commonwealth Assistance Notice (CAN) is a notice that contains information about a student's enrolment and use of Commonwealth assistance. Providers are required to issue a Commonwealth Assistance Notice within 28 days of the census date. The CAN is required to be delivered to a personal email or mail address nominated by the student. More information on the Commonwealth Assistance Notice can be found in the VSL Manual for Providers or in the VET Student Loans Rules 2016 under point 100.